Laser World Bedford Ltd, trading as “Laser World” whose registered address is: 9 Kingsway, Bedford MK42 9BJ. At Kids World, we are committed to maintaining the trust and confidence of our customers, potential customers and visitors to our website. 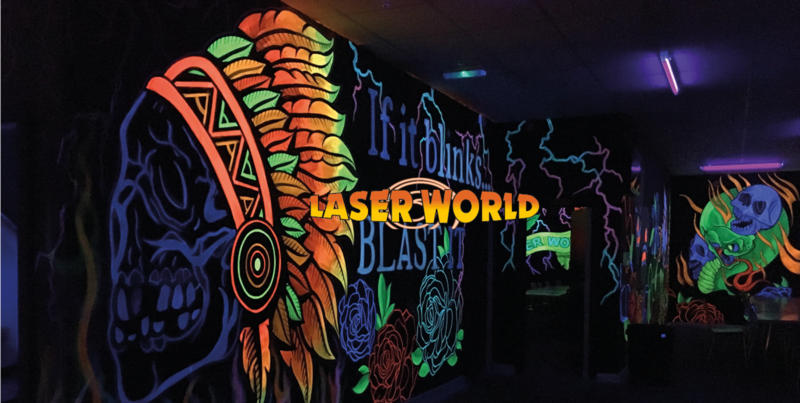 We provide free wifi access at Laser World, it is optional to use. To activate it, you will need to enter some personal details. We will ask all new customers for their consent to receive marketing emails, newsletters, offers, events and information on Laser World. We will hold personal data in the form of CVs and job applications. This data is only used for the purposes of staff recruitment and to provide assurance of our competence to deliver services to current and prospective customers. This information is held on a secure server. If we don’t contact you, your information will be destroyed within 13 months. If you want us to remove any personal data we hold about you, please contact us at info@laserworldbedford.co.uk and we will process this request within one month. Data will be removed in line with the requirements of the GDPR.